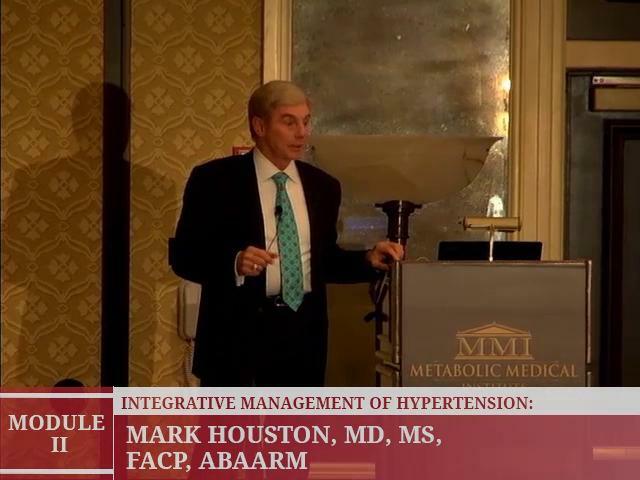 Module II: A Metabolic and Nutritional Approach to Cardiology, headed by Mark Houston, MD, MS, FACP, ABAARM focuses on the causes and mechanisms of hypertension, diabetes, coronary artery disease, and metabolic syndrome, in addition to how the conditions are interrelated and connected. The session will also discuss various methods of diagnosis, evaluation, and treatment, coupled with an assessment of laboratory evaluations, nutritional treatments, and lifestyle recommendations. Complete the form below to view the course preview.